I was so excited for try this and I have to say… This is the best salt scrub I have ever used I absolutely love this product! Exfoliate and pamper body with this Salt Scrub that combines Dead Sea Salt and minerals with natural, moisturizing Oils. 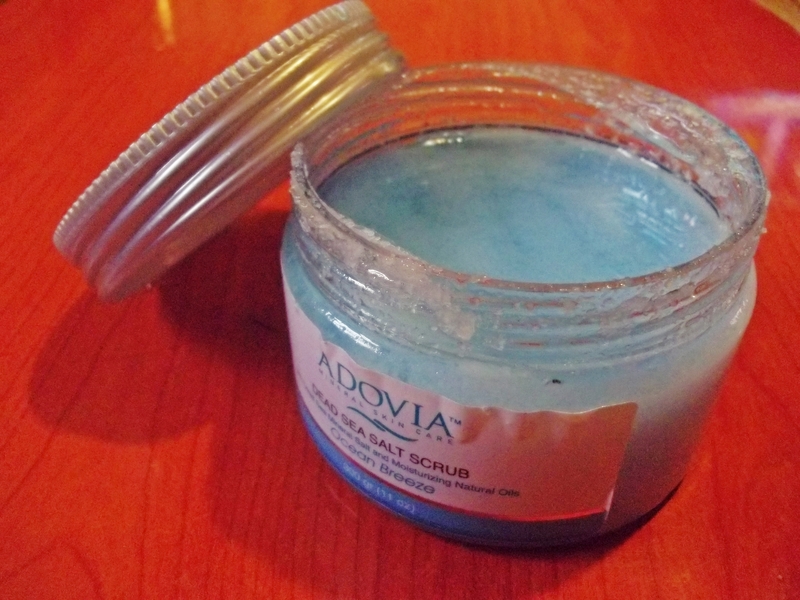 Gentle and reviving, the scrub exfoliates the top layer of dead skin cells, revealing a younger layer of skin. While smoothing and stimulating the skin, this relaxing body scrub will gently buff away dead skin cells leaving your skin smooth, supple and refreshed. Scrubs help circulation and are a wonderful way to invigorate your skin. 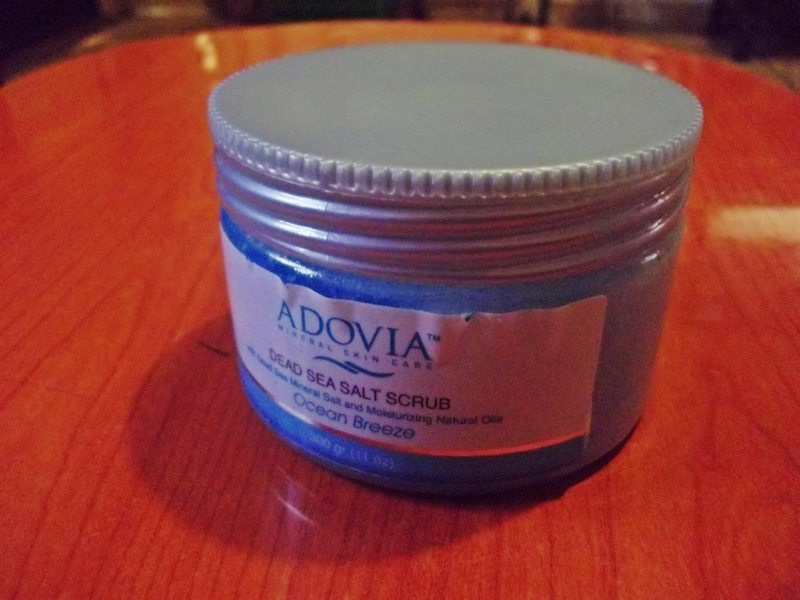 The abrasive action of the salt will remove dead skin cells and open pores, allowing them to breathe. 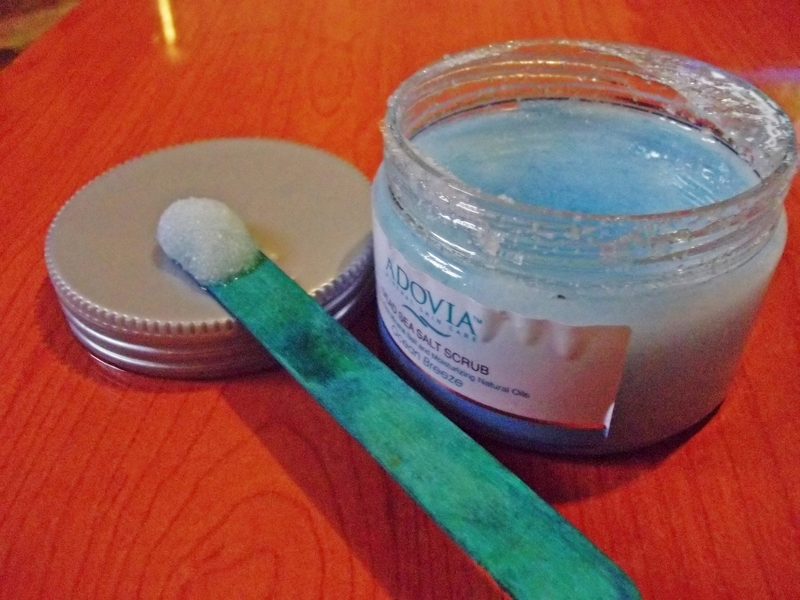 A vigorous scrub not only softens, stimulates and cleans the skin but also makes it look lighter. THE SEA SALT BODY SCRUB: Made with Real Dead Sea Salt – 100% Pure and Genuine for an infusion of 21 Minerals Essential to Proper Skin Function. Great Exfoliator and Moisturizer. THE BENEFITS: Fine Grain Dead Sea Salts Exfoliate the Top Layer of Dead Skin Cells to Reveal a New Younger Looking Layer of Radiant Skin. Deeply Moisturizing Oils Infuse Skin With Luxurious Hydration that Lasts All Day. Works Great in The Shower or Bath – Also a Great Hand Exfoliator to use in the Sink or Foot. This product is amazing I love that has oils that moisturize your skin, left your skin very very soft and smooth and the smell is really good and the scent stays on your skin all day you don’t need to put lotion on. But be sure to shake well as there is a lot of oil on the top when you first open it. This is how it looks, you can see the oils at the top and the scrub at bottom. REMEMBER: Be careful when you open it or all the oil will spill out. This is the scrub! and is amazing is the best exfoliator I have used. I’m using it about 3-4 times a week and my skin is like baby’s skin, is wonderful. Made with Real Dead Sea Salt. Exfoliate the Top Layer of Dead Skin Cells. Hydration that Lasts All Day. 21 Minerals with natural moisturizing Oils. Leave your skin smooth and fresh. Makes your skin look lighter. The jar material, it feels fragile. The scrub gently exfoliates your skin while the oils soften and moisturize and the delicate fragance relax you. Perfectly remove dead skin. You can use it for your foot too you will not regret after see the results! Smooth and soft foot!!! 😀 You can buy it here or here. I guarantee this is AMAZING!